It Costs What??? I Need A Living Room On A Budget! My husband and I are finally purchasing our dream home. I guess I need a living room budget or rather a living room on a budget. I’ve been obsessed with this room ever since I saw it on your blog. While our living room isn’t quite that grand, it’s really pretty. I spoke with three interior designers in my town. Each of them said pretty much the same thing. A living room like this would cost something like $250,000.00! Are they barking mad? I mean, sure, I realize that there are real antiques here and so forth, but we could almost buy another home for that kind of money! One of them said that she could do something comparable except for the screens for about 100k. Well, we just don’t have that kind of money. And even if we did, it sounds like a lot to furnish only the living room. We had budgeted between $30k-$40k for the living room. And even with that, my sister thinks I’m nuts. But we really want something nice that we’ll enjoy for many years to come. The dimensions are about 25’x14′ and there are large windows and a fireplace with a gorgeous mantel. Our ceilings are nine feet. Oh wait. Silly me. I have some pics from the real estate listing. We’re in Charleston and my husband and I were a bit at odds. I wanted old and he did not. But the second we walked into this place, I knew it was the one! I guess what I want to know is; Is it possible to do a living room on a budget of 40k max in the manner of Frank Babb Randolph? Le me begin saying that I adore your new home! The high ceilings, gorgeous tall windows with transoms and French Doors; beautiful! My favorite style of architecture is Greek Revival. But not the GR with the ginormous columns. But something that’s more of a hybrid of the Federal style which came just before GR. Here’s an amazing example of what I’m talking about. It’s in New Orleans, so has taken on the unique flavor of that city. In the north, the railings would be painted wood. But, isn’t this divine? I love that it’s all ONE color– even the shutters. That’s something to keep in mind. And I adore Frank Babb Randolph too. Did you know that my friend Loi Thai of the wonderful Tone on Tone Blog did a lot of the antiques for his home? And even though it looks 19th century, it was actually built in the 1950’s. Frank, obviously, did a real number on this place. These guys positively reek of great taste! It’s one of my favorite rooms too! I do concur with the other designers that the furnishings alone, in Mr. Randolph’s living room could easily be in the 150k-250k range. Those screens are very old and rare and utterly fabulous. If the house were on fire, that would be the first thing I would grab! But, everything in this room is super high-end. For instance, the faux shagrin coffee table by David Iatesta easily retails for at least $6,000.00 and probably more. And yes, you could do something wonderful for 100k. But I think we can keep the price close to the 40k number. There are always ways to make cuts here and there without sacrificing quality or the look, desired. I had a little fun here and decided to see what we could do in your price range. Of course, the prices are estimates and we’ll need to add in for shipping, handling and tax. I’m going to start at the upper left and work around. Here are the items, quantity and price. But we’re not done yet. We have to figure in the shipping and handling and tax. By the way, I have read that Frank’s wall color is Farrow and Ball – Elephant Gray. If you’d like a Benjamin Moore Equivalent, we can go to the chart and see that it’s Sandlot Gray 2107-50. I know that a lot of people are probably thinking that 40k is still ridiculous. Well… during my research, I saw chairs, yes CHAIRS at POTTERY BARN for– are you ready? PS: If you’re interested in over 500 more sources like the ones in this post, perhaps consider purchasing Laurel’s Rolodex. And if you need color help, The Laurel Home Essential Paint Color Collection will definitely give you a lot of guidance and inspiration for choosing the perfect color scheme for your home. Laurel, this is beautiful! I love your work. I wanted a “comfy/formal” look to my living room. I found twin down-filled French chairs, retail $750 each at Salvation Army in NEW condition for $50. Picked up a $3,500 sofa for $79. Wish I could send you a photo. It looks wonderful. I used your page on gallery walls to create a really nice one that includes an 1830 sampler I framed. Well. now I’m embarrassed. Nothing I did compares to just one corner of what you have done in beauty. But it’s what I wanted, and I’m happy with it. Laurel, you are a treasure. I recently built a semi-custom home and I would have lost my mind without you. I did have a designer help me. In fact, I had two independent designers and two from the builder. But I discovered that a designer is only as good as you are able to communicate your personal style and vision. I was able to do that by scouring your blog. If I lived anywhere in the Northeast I would hire you in a second. I made a few mistakes, but none that I can’t live with, and few that will cost an arm or a leg to re-do. Thank you for guiding me with all your posts. I am really grateful. $6000 for a coffee table? Gack! I do love that way cool one you presented much better! And at a much better cost!! As always a wonderful post! Not that it relates to me or my budget. I would have to drop off a zero. But I appreciate the thought and integrity of both decorating schemes. I do have a question. Our granddaughter is renting a small rental home. Her landlady is willing to buy the paint if we do the work. I am a very good wall painter and I am willing to tackle this project. We are thinking of using one of your best white paints. If we dot his on the walls is it OK to paint the ceiling the same color or is it better to use a ceiling paint?? Thanks so much! I would have to drop off a zero too! As for the paint, there is no such thing as a ceiling paint although people might call it that. There is a white that is called “ceiling white.” But I believe that it is plain old white. The only time I ever use that is in bathrooms, on occasion. Thanks for the reply. I like the answer, as that is what I am wanting to do. The trim on this rental is a nice older wood and that will not get painted. If she lives in it for more than two years I will be surprised. In the mean time with some new paint it should look much cleaner and updated. Sorry about the typo: dot his, should read, do this! Spell check could never get this! That’s a great question and one that I’ve written about on here before, but I don’t expect you to know that of course. It’s also one of the primary reasons I wrote Laurel’s Rolodex. My goal, the last 10 years or so, has been to buy anything I can at rock bottom wholesale. 20 years ago, that was almost nothing. But with the recession, especially, many vendors opened up their doors to interior designers. Or, they created a non-stocking dealer pricing. I know that you know all of that. I don’t use the term markup. I talk about the clients DISCOUNT. Their discount off the retail. Now, that number varies as does my discount. If I’m getting a deep, deep discount, then their discount off the retail (the true retail, not some grossly inflated number. I wrote about that one too! One of my favorite posts about the dangers of buying on the internet) is greater. Occasionally, I’ll order a mirror or something like that from a place like Wisteria and they are giving me a whopping 10% off. In that case, there’s no discount. It all averages out in the end. But the bottom line is that if the designer can get her products directly from the source, they can offer that product at a very competitive price and still make a good profit. Win/Win as they say. I love it when EVERYONE wins. My experience has always been that architects and designers more than pay for themselves in the errors they preclude. My husband and I came to a southern college town as university teachers when we were only 26 years old. Housing was in short supply. We found a lovely rental for a year, but after that we faced lots of low ceilings, green shag carpet over concrete floors, high windows. By spring, we realized we were going to have to build. A friend recommended an architect in a nearby city, and he turned out to be our life-saver. We knew we wanted traditional architecture, wooden floors, and at least 9 ft ceilings. But I blush at how little we thought those would cost. That dear man took us in hand. He took us on a tour of houses he’d designed over the years, and by the end of that ramble, we realized it cost more to move a wall in a house than we’d thought an entire house would cost! Better to get it right the first time. 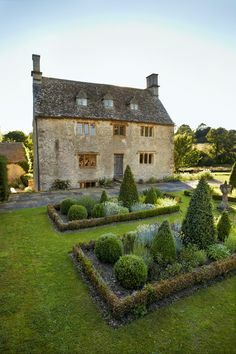 Then he sent us to look more carefully at historic homes we’d admired. All of that gradually soaked in and sharpened our vision. I remember being miffed when he asked me whether we planned to have children. I’d heard that question too often. He said, “I’m your architect, and I need to design a house to fit your needs. And I can tell you this: when children are babies, they sound like rats all night long, snuffling and squirming about in their beds. Then they fight with one another, threatening death and worse. In time, they get sound systems, and try to blast the walls down. So if you plan to have children, I suggest we put them off in a wing of their own.” After children arrived, I often thought what a genius our architect had been and that really, we ought to pay him a bonus. That expereince taught me a lesson that I applied to interior design as well. Professionals spend their days doing one thing, and they know sources and where to cut corners and where to go high-end. They know questons their clients don’t even realize they want answered. And most designers will work with clients on an hourly or per-meeting basis. An hour with a good interior designer can prevent a huge mistakes that will eventually require correcting. Wonderful, thoughtful comment Gaye! I love that there is a wonderful mix of professionals as well as design enthusiasts. Or people wanting to learn more about decorating their homes. So, I love it when colleagues join in to help elevate our profession by explaining how it works. I think there’s often this mystique and/or erroneous idea that as you said, design help is an extra. Where can I reread you post on Benjamin Moore/farrow & ball paint color match ups? Pottery Barn furniture is made in the far east. It is not of good quality–especially the upholstery and 2k for one over-sized ugly cheaply made club chair is just plain gross. Thanks so much Vita. And yes, I agree. It’s everything from what size rug to get. Where to go to get it. What size sofa? What style sofa? How many pillows? What size should they be? What’s the fill? The fill in the seat cushions? How deep should the seat be for the way we live? I think that hubs hears a number which sounds big, but how much did his ONE car cost? And how many pieces of furniture are you going to need for the family room? When you break it down individually, it doesn’t sound as bad. Laurel–I have learned so much from your blog! You are the best, most skilled and informative interior design blogger I’ve come across. Your posts are pithy, opinionated AND spot on! And so many gorgeous images! I appreciate this post particularly because you backed up the designers’ original quote. So many people have no idea the cost of furnishings, accessories and draperies. They’ve also no idea if they are looking at an antique or not. So when they see a gorgeous magazine spread, they faint when they find out the cost! What you did is what so many of us decorators and designers try to do for our clients. Do you want to do PR for me? Just kidding. What a lovely comment. When I started this blog, that is pretty much what I set out to accomplish. Fabulous job sourcing ‘lower cost’ alternatives to the higher end LR…..your furniture looks just as stylish and french as the absurdly expensive one. i too love Bungalow 5 (I want their grass cloth parsons coffee table!) and Zentique….love your characterization of PB furniture. POS. HAHA. One tiny correction: when I took history of furniture at Parsons French armchairs were either Fauteuils or bergeres. The former has open sides and you have several pictured above. Laurel, I do so enjoy your posts and the Pottery Barn POS caused me to choke on my cinnamon iced tea in a very unladylike yet deeply enjoyable manner! I’m glad you’re fully recovered from your post trip illness and in lovely sharp-whited mode. How do you feel about RH? Your point about how you charge versus how others may charge made me wonder if there is any value/interest in writing about finding a designer? I always feel a twinge of sadness for posters who ask individual questions even though you do a delightful job of letting them know you don’t consult online. I have met with three so far and I apparently don’t have the right initial criteria. One suggested only stark modern decor – clearly not my style, another wanted to move walls – uhhh it’s a brand new house (the only wall I’m moving is to get rid of the disastrous counter depth fridge everyone said I would love – liars), the other, well, I’ve written enough but it wasn’t a win either. I’m either the client from hell or I don’t know how to select this oh so important professional. Thanks so much but actually, I am not fully recovered from my virus as it invited some of its slimy bacteria friends to take up residence in my sinus cavities. But I figured that folks are tired of hearing me complain. Oh well… I’m on an antibiotic, so hopefully it’ll all be gone soon. There isn’t a designer alive who likes them for a multitude of reasons. But greedy bastards works. Plus the quality of their waaaaaay overpriced furniture is not up to snuff. Re: finding your perfect designer; I’ve written a couple of posts on here. One is the client from hell which you clearly aren’t. Take a look at the prospective designer’s website and portfolio to see what their style is. Are they on pinterest and/or houzz? Then you can see even further what their over-all taste is. And some just aren’t going to be a good fit. If you don’t feel absolutely comfortable when meeting them, it won’t work. I just read the post by Susan Stikker-Shokt. I also live in Charleston and have a similar living room–minus the french doors and with smaller windows. But, it’s a lovely room that is currently empty. We just finished painting the room BM white dove (walls, ceiling, and trim!). I thought it would be helpful to start with a blank slate. Other than that, I don’t have much confidence in my ability to design the room, pick a layout, or select paint colors. I like Randolph’s living room and I already have some antiques I could incorporate in the room. My husband and I are saving up for a designer and furnishings but 40k is beyond our budget. I’m struggling to find a designer in the area who can work with a lower budget. We have talked with one person but I don’t want to move forward with others if our budget just won’t work here. My question is: is it possible to do a living room on a budget of 20k max in the manner of Frank Babb Randolph? I did a post where I did a LR for about 20k. Here’s the link. It’s a smaller room with less furniture and it was three years ago. But, yes… there are ways to get the look for even less. For instance, Mr. Randolph didn’t originally have any rug in his room. Then, I saw a version with a photo that I had a sisal rug. (I don’t recommend them even though they look nice. If you go that route, you should do seagrass. That will cut things back. I love how you do everything so reasonably and so beautifully! You always capture the mood of the room and design accorndingly. Does that make sense? 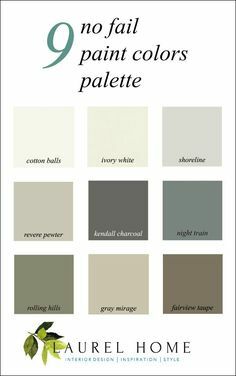 How do I find the Benjamin Moore/Farrow & Ball paint color blog you put together? The link is in the post, but maybe not obvious. Here it is for convenience. Great sleuthing, Laurel, your knock off room looks gorgeous! I think if you’re a determined, online bargain hunter, it’s possible to shave a budget even further — down to about $4,000, especially if you can paint or sew. For example, International Concepts’ Half Moon Console Table is a reasonable substitute for the $2,100 Tritter console table but it costs just $149 on homedepot. Granted the budget table isn’t as nice as yours, but it’s made of solid, unfinished wood. I appreciate your input a lot but think that $4,000.00 for the average person is going to be very difficult to get a high-end look like Mr. Randolph’s incredible room. And yes, I’m sure I could whittle off some more if I had wanted to spend another 12 hours lol Also, I was putting in full-retail prices if you saw an earlier comment. Yes, they would need to do all of their own sewing and upholstering and then spend many months waiting for just the right pieces to come along–in the right sizes; it’s not easy. I guess some folks enjoy that, but most people just want to get it done. ex’s house where my kids were. My husband’s things never existed-he never needed much. So we had somehow to fill this new house. To make it livable and lovely and ready for kids when they finally move with us. And I didn’t like any store he took me to. He obviously had no idea of nice stores as well, ’cause these earthy things never bothered him. And then I wiped my tears, thought a little, got back into my adult mode. We bought new sofas(very far cry from Roche Bobois but I liked the colors)). We custom ordered amazing bookshelves. And the rest I hunted on the Craigslist, for days, weeks, sometimes months. And it looks pretty cool, beautiful but not precious, and every thing has a story. So I’d do this very, very pretty room for 4000 dollars, including accents(and the accents would be mostly very nice since I love amazing pillows, velvet, embroidered, you name it..and I like cashmere throws, and I love hand made ceramics and pottery). It will all be there eventually. Just not at the same time, lol. It will need to wait. Maybe not as long because I have a feeling they must have pretty amazing vintage shops and Craigslist in Charleston. And then I’d put another thousand dollars aside for an amazing art that I find irresistible. Because each time I moved(I moved a lot)-I took with me my favorite books and my art. Which tells me that they make a house a home more than anything else. I think the chair is in line. It’s actually custom upholstery. The only thing is, I think it looks like it needs a coat of paint! 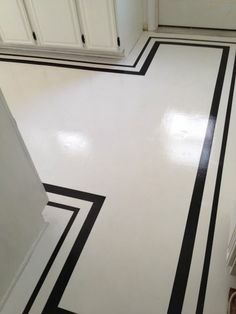 But the lines are pretty. Actually, it surprises some people, but a fully upholstered club chair is often not all that much less than a full sofa. I usually say half, but some manufacturers or stores will have a sofa for 3,500 and the same style chair will be 2,500! At about 11:00 PM last night after spending more time than I care to say, I remembered those chairs. I didn’t have the energy, nor space on my board, so I left them off. I did not know the word “cockpen.” I always just called them Chinese Chippendale. Sarreid makes a terrific repro called the Lady Zetland chair. AAMOF, I own two of them! They list the price as $885.00. They do come in pairs, but that is the price for one. My price is $644.00 They do usually need to be reupholstered however. And Dolores, too, for the eBay recommendation. All looks wonderful! Thanks for the post. Curious to know, how many hours did you have to spend researching these products before you found one within the budget? Well… you bring up a very interesting point. First of all, I don’t know if it was obvious or not, but I wrote this post with a person who’s creating a room on their own, not with a designer. However, to answer your question. While many designers do, I do not charge an hourly fee for clients who are having me do their room(s). And, most of this stuff would be even less money. I didn’t want to make anyone angry, and put full retail prices or close to it, for these items. In fact; this room (along with the accessories, etc.) would be about $35,000.00 or maybe even less for one of my clients. I do charge an upfront design fee of $1,500 per room, to do the room-layout, preliminary work and cover time spent consulting. However, this is me. Other designers may have a different way of charging. For instance, some might charge a more nominal mark-up but then charge an hourly. What I’ve discovered is, in the end, it’s pretty much apples and apples. But apples in New York are more expensive than apples in other parts. Of course, there are designers who are charging a design fee, a retainer, full retail AND an hourly. God bless them; I feel that’s double-dipping. But, maybe they are worth it! What a brilliant post. I love Mr. Randolph and Loi Tai’s designs. The room to s so peaceful. The screens are fabulous. You did an outstanding job, pulling it altogether.